Augustaitis A, Kliučius A, Marozas V, Pilkauskas M, Augustaitiene I, Vitas A, Staszewski T, Jansons A, Dreimanis A (2015). Sensitivity of European beech trees to unfavorable environmental factors on the edge and outside of their distribution range in northeastern Europe. iForest 9: 259-269. European beech is a successful tree species outside its distribution range in northeastern Europe, where Prussian foresters introduced it mainly into Scots pine stands. This forest management practice resulted in new issues related to the sensitivity of European beech to current environmental changes in areas outside its natural range. We hypothesized that recent global environmental changes promoted the northeast migration of European beech outside its distribution range in Europe. To test this hypothesis, dendrochronological analysis of beech tree ring series was performed for eight sites located in Poland, Lithuania and Latvia. Frost in winter months and heat in June, along with drought in the vegetation period, limited beech tree growth outside its natural distribution range in northeast Europe. Higher air concentration of surface ozone and sulphur deposition level reinforced the negative effect of the detected key meteorological variables on beech growth, while higher air concentrations and deposition of nitrate had a positive effect. These factors explained about 50% of the total variation in increment indexes of beech trees at sites on the northeasren edge of their range. The observed trends of beech growth over the last 25 years has determined favorable conditions for planting this tree species outside its natural range in northeastern European forests. Long-term growth changes of common beech (Fagus sylvatica L.) are less pronounced on highly productive sites. Forest Ecology and Management 312: 252-259. The changes of Scots pine (Pinus sylvestris L.) tree stem and crown increment under decreased environmental pollution load. Ekologia Bratislava 22, Suppl. 1: 35-41. Did the ambient ozone affect stem increment of Scots pines (Pinus sylvestris L.) on territories under regional pollution load? Step III of Lithuanian studies. The Scientific World Journal 7: 58-66. The seasonal variability of air pollution effects on pine conditions under changing climates. European Journal of Forest Research 129: 431-441. Direct and indirect effects of regional air pollution on tree crown defoliation. Baltic Forestry 16: 23-34.
impact of meteorological parameters on responses of pine crown condition to acid deposition at Aukštaitija National Park. Baltic Forestry 17: 205-214. Sensitivity of beech trees to global environmental changes at most north-eastern latitude of their occurrence in Europe. The Scientific World Journal 2012: 1-12. Growth patterns of Scots pine (Pinus sylvestris L.) under the current regional pollution load in Lithuania. iForest. A simple cross-dating program for tree-ring research. Tree-Ring Bulletin 33: 7-14. The north-eastern distribution range of European beech - a review. Forestry 4: 413-429. Climate change impacts on stand structure and competitive interactions in a southern Swedish spruce-beech forest. European Journal of Forest Research 129 (3): 261-276. Nitrogen footprint in a longterm observation of forest growth over the twentieth century. Tree 25: 237-251. Does nitrogen deposition increase forest production? The role of phosphorus. Environmental Pollution 158: 2043-2052. Temperate forests trees and stands under severe drought: a review of ecophysiological responses, adaptations processes and long-term consequences. Annals of Forest Science 63: 625-644. Allozymic variability in beechwoods (Fagus sylvatica L.) over central Europe: spatial differentiation among and within populations. Heredity 65: 407-417. The decomposition of tree ring series for environmental studies. Tree-Ring Bulletin 47: 37-59. Methods of dendrochronology. Kluwer, Dordrecht, The Netherlands, pp. 394. Effects of size, competition and altitude on tree growth. Journal of Ecology 95:1084-1097. Tree-ring variation, wood formation and phenology of beech (Fagus sylvatica L.) from a representative site in Slovenia, SE Central Europe. Trees 22 (6): 749-758. Impact of late frost events on radial growth of common beech (Fagus sylvatica L.) in southern Germany. European Journal of Forest Research 125: 249-259. Growth variation of common beech (Fagus sylvatica L.) under different climatic and environmental conditions in Europe - a dendroecological study. Forest Ecology and Management 173 (1-3): 63-78. Applied regression analysis (3rd edn). Wiley, New York, USA, pp. 736. Measurement and dating procedures in dendrochronology. In: “Methods of dendrochronology” (Kairiukštis L, Bednarz Z, Feliksik E eds). IIASA, Warsaw, Poland, vol. 3, pp. 35-44. Qualitative assessment of past environmental changes. In: “Methods of dedrochronology. Applications in the environmental sciences” (Cook E, Kairiukštis L eds). Kluwer, Dordrecht, The Netherlands, pp. 220-223. Elevation map of Europe. Web site. European forest genetic resources programme. International Plant Genetic Resources Institute (IPGRI) and the International Network for Improvement of Banana and Plantain (INIBAP). FAO, Rome, Italy, pp. 6. Ambient ozone concentration and its impact on forest vegetation in Lithuania. AMBIO 38 (8): 432-436. Dendrochronology program library. Laboratory of Tree-Ring Research, University of Arizona, Tucson, AZ, USA, pp. 52. Growth, survival, density, biomass partitioning and morphological adaptations of natural regeneration in Fagus sylvatica. A review. Dendrobiology 61: 3-11. Dynamic response of tree growth to changing environmental pollution. Journal of Forest Research 133: 713-724. Rapid climate change-related growth decline at the southern range edge of Fagus sylvatica. Global Change Biology 12 (11): 2163-2174. Effects of environmental stress on forest crown condition in Europe. Part IV: Estimation of stress induced by meteorology and air pollutants. Water, Air and Soil Pollution 119: 387-420. Climate-tree-growth relationships of European beech (Fagus sylvatica L.) in the French Permanent Plot Network (RENECOFOR). Trees 19: 385-401. Effects of planted European beech on the understory in Scots pine forests of Lithuania. iForest - Biogeosciences and Forestry 7: 12-18. Ozone - a risk factor for trees and forests in Europe? Water, Air and Soil Pollution 116: 199-226. Synopsis of the CASIROZ case study: carbon sink strength of Fagus sylvatica L. in a changing environment - experimental risk assessment of mitigation by chronic ozone impact. Plant Biology 9: 163-180. Enhanced ozone strongly reduces carbon sink strength of adult beech (Fagus sylvatica L.) - Resume from the free-air fumigation study at Kranzberg Forest. Environmental Pollution 158: 2527-2532. Effects of climate on diameter growth of co-occurring Fagus sylvatica and Abies alba along an altitudinal gradient. Trees 25: 265-276. Dendroecological applications in air pollution and environmental chemistry: research needs. Dendrochronologia 20 (1-2): 133-157. The influence of climate and fructification on the inter-annual variability of stem growth and net primary productivity in an old-growth, mixed beech forest. Tree Physiology 30: 689-704. Advances of air pollution science: from forest decline to multiple-stress effects on forest ecosystem services. Environmental Pollution 158: 1986-1989. Growth peculiarities of European beech trees outside their natural distribution range in Lithuania. In: Proceedings of the 5th International Scientific Conference “Rural development 2011”. Akademija, Kaunas (Lithuania) 24-25 Nov 2011, vol. 5, pp. 106-110. Tree and stand growth of mature Norway spruce and European beech under long-term ozone fumigation. Environmental Pollution 158: 1061-1070. A RAPD, AFLP and SSR linkage map, and QTL analysis in European beech (Fagus sylvatica L.). Theoretical ans Applied Genetics 108: 433-441. Drought matters - declining precipitation influences growth of Fagus sylvatica L. and Quercus robur L. in north-eastern Germany. Forest Ecology and Management 262: 947-961. 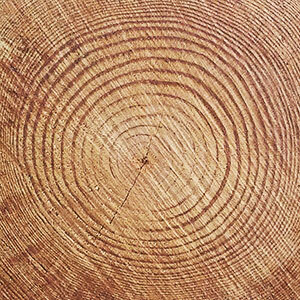 Tree rings and environment: dendroecology. Paul Haupt Publishers, Bern, Switzerland, pp. 609. Adaptation of forest ecosystems to air pollution and climate change. iForest - Biogeosciences and Forestry 4: 44-48. Changes in precipitation chemistry in Lithuania for 1981-2004. Journal of Environmental Monitoring 8: 347-352. Modelling near-natural silvicultural regimes for beech - an economic sensitivity analysis. Forest Ecology and Management 130 (1-3): 187-198. Le Hetre. INRA, Department des Reserches Forestieres, Paris, France, pp. 35-46. Changes in root starch contents of mature beech (Fagus sylvatica L.) along an ozone and nitrogen gradient in Switzerland. Phyton 42: 223-228. Effects of simultaneous ozone exposure and nitrogen loads on carbohydrate concentrations, biomass, growth, and nutrient concentrations of young beech trees (Fagus sylvatica L.). Environmental Pollution 143: 341-354. The condition of forests in Europe. Executive Report 2013, EN-ECE CLRTAP&ICP Forest with EC European Directorate General LIFE Unit, Germany, pp. 28. 2003 heat wave in Europe (De Bono A, Peduzzi P, Kluser S, Giuliani G eds). UNEP, Environment Alert Bulletin 2: 4. Intra-annual radial growth and water relations of trees: implications towards a growth mechanism. Journal of Experimental Botany 57:1 445-1459.